Senators left a briefing with CIA director Gina Haspel on Tuesday confident in taking action against Saudi Arabia in the wake of the murder of journalist Jamal Khashoggi. Why it matters: Lawmakers have been grappling with conflicting information from the CIA and the administration regarding the murder, with the CIA's assessment placing blame on Saudi Crown Prince Mohammed bin Salman (MBS), and the administration deflecting such blame in an effort to preserve what they see as a crucially important partnership. What to watch: The Senate has been working on legislation from Sens. Bernie Sanders, Mike Lee and Chris Murphy that would pull support from the Saudis in Yemen, which is expected to be debated this week after the Senate voted to advance it last week. 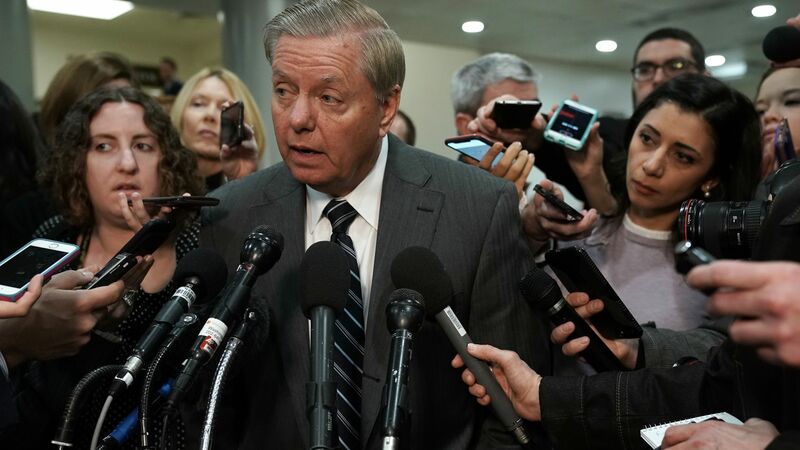 Senator Lindsey Graham (R-S.C.) said he plans to push for a Senate vote to designate MBS as complicit in the murder of Khashoggi and put "Saudi Arabia on notice that business as usual has come to an end for me." Graham explained, however, that he does not plan to vote for the Sanders' Yemen legislation. "There's not a smoking gun, there's a smoking saw. ... I will not support arms sales until all responsible for the death of Mr. Khashoggi have been brought to justice, and I will no longer support the war for Yemen as constructed." "I am now more convinced than I was before ... that in fact the United States must have a strong response to both the war in Yemen, as well as the killing of a United States permanent resident and journalist in Jamal Khashoggi." “If he [MBS] was in front of a jury he would be convicted in 30 minutes, guilty. ... This has got to be strongly condemned by the administration...I know that they have to have the exactly same intelligence that we have and there's no way that anybody with a straight face could say there's any question about what has happened. ... I think the message to them is, 'Look this is something we can get away with. The greatest country on Earth and it's leader has said it's okay to get away with this.'"